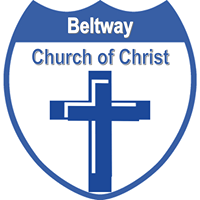 Mission - The Education Ministry of the Beltway Church of Christ is an active ministry focused on the growth of Christians through knowledge of our Lord and Savior Jesus Christ. We believe consistent Bible study, educational courses and application of Bible principles serve to enhance the joy of learning the will of God. The value of a strong Education Ministry prepares all saints for Christian conduct, Biblical truth in doctrine, acceptable worship of God and ministry work. Therefore, our Bible class teachers spend valuable time in the study of scriptures and designed lessons in advance of all Bible classes. Our classes are designed interactively to engage the minds of the young and old. Understanding the world we live in and the many challenges we are faced with daily, the impact of such an Education Ministry equips Christians for successful living now and in the world to come. The Vacation Bible School (VBS). I think you would agree that our VBS gets better and better every year, and this year promises to be no different. We are looking forward to another exciting kick-off on August 5th and engaging week-long program, from August 6th through the 10th. VBS is designed to share the Good News of Jesus in lessons and activities that are age appropriate.